The Food and Drug Administration (FDA) approved a first-of-its-kind treatment for brain tumors: a device that use electrical fields to stop cancer growth. Andrew Revkin takes a look at the debate over the debate over global warming. If there's agreement on one thing, it's that scientists and science communicators have much to learn. Velociraptors didn't just hunt small children in amusement park kitchens; they also hunted fellow dinosaurs at night, according to new research. Job hunting can be difficult, so here's an article that both advises and consoles you on the challenges of the real world. The SETI Institute, which searches for and tries to make contact with extraterrestrial life, is suspending operations because of government funding cutbacks. 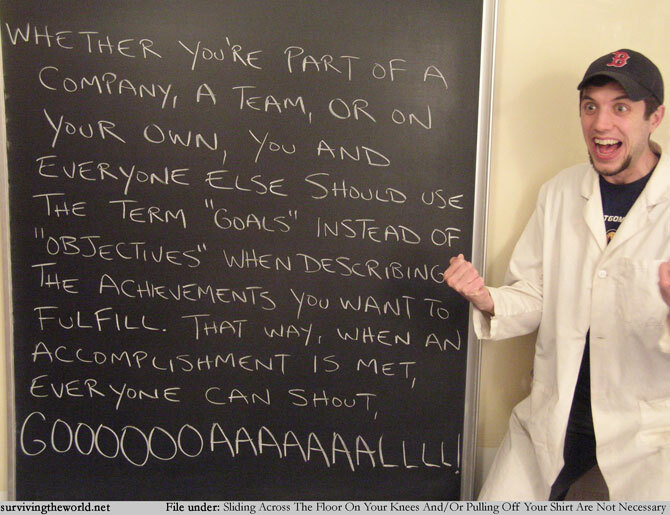 We all want to be experts at something, but maybe we have too many experts. 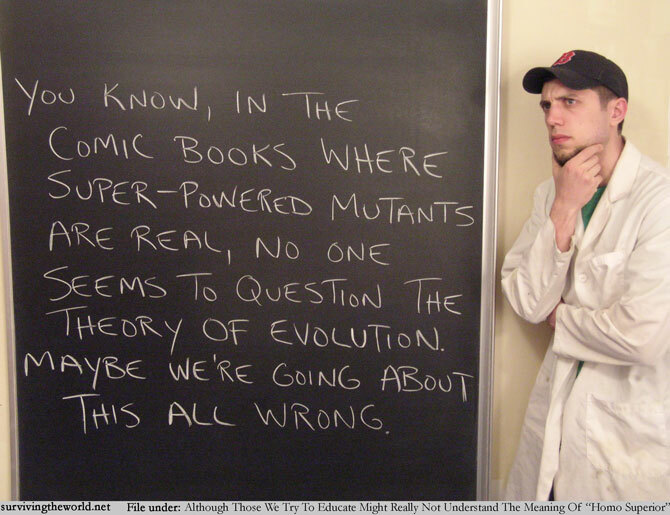 Chris Mooney blogged about the potential problem of a growing scientific community. I’ve already written about how one of my most exciting moments at Research!America was visiting the National Institutes of Health (NIH) campus for the first time. And in my second visit earlier this week, the excitement hadn’t worn off. It’s likely because, this time, I and a few other Research!America staff got to see first-hand many of the things at the heart of the NIH: its history of discovery, its state-of-the-art clinical research hospital, and its talented researchers. The day started with a walk led by our tour guide, Tara Mowery, who told us about the NIH’s origins as a “hygienic laboratory” located on Staten Island back in the late 1800s. Eventually the National Institute (no “s”) of Health moved to DC and found a home in nearby Bethesda. One of many sights on our tour was building 1 – current location of Director Francis Collins’ office, and the first of nearly 70 buildings on the NIH campus. Soon after, we entered building 10, the NIH’s hospital (pictured above), where we saw how researchers are literally taking their work from bench (a few hundred yards over) to bedside. John Burklow, director of the Office of Communications, followed up our tour with a presentation on the NIH’s organizational structure. There are 27 institutes and centers, but as Burklow emphasized, they’re all part of one NIH that is putting out news-worthy findings each and every day. Part of Burklow’s job, he added, is to ensure that the public understands the NIH’s expansive reach, especially with 85% of NIH research being done externally, at universities and other institutions across the country and around the world. We then visited Dr. Marcus Chen, a staff clinician for the National Heart, Lung, and Blood Institute (NHLBI). Dr. Chen’s work is the kind of news-worthy research that Burklow had just described, as the Laboratory of Cardiac Energetics is studying methods for decreased radiation in computerized tomography (CT) scans of the heart. There have been quite a few major news stories recently about growing public concern over radiation and the increased use of high-radiation diagnostic tests, especially among children. By modifying certain parameters and using computer algorithms to improve imagery, Chen and his fellow researchers have been able to dramatically reduce radiation exposure. Pending further tests and development, this research could become the basis for safer, more patient-friendly CT scanning techniques at a hospital near you. To wrap up our tour, Dr. Chen agreed to show us one of the CT scanners being used by his staff. It took a while, however, because machine after machine was being used for a patient. Eventually, we did get to see a scanner up close, but the wait was an excellent reminder of the NIH’s value. The clinical work done at its hospital not only serves and likely benefits patients today, but with continued discovery and development, the NIH also benefits the patients of tomorrow. Research!America and our partners have launched Your Congress-Your Health. Every Member of Congress has been invited to respond to a questionnaire about medical research, the deficit, and support for federal agencies that conduct research to improve health (NIH, FDA, CDC, NSF, and AHRQ). Please contact your Representative and Senators TODAY to urge them to respond to the questionnaire. Cuts to research funding have already occurred at NIH, NSF, CDC, and AHRQ. That is why it is more important than ever for Americans know where lawmakers stand on these critical issues. At Research!America's recent Advocacy Awards dinner, I had the honor of serving as the point of contact for Dr. Michael Bishop. Not only is he an amazingly brilliant scientist, he is a passionate advocate, a diligent teacher, and one of the most personable men I've ever had the pleasure to meet. Congratulations on your award Dr. Bishop! If science and research are important to you, it is up to you to make the case for it. That means reaching out to the public and policymakers to explain the benefits of research and how it impacts your community. The real bottom line is that research and discovery, which go hand-in-hand with education, are the very lifelines of innovation that drive job growth and enhance our quality of life. Just as it is important to realize that the rewards of scientific research are many, we must be equally aware that Montana has become a player and directly benefits from the national investment in research. Speaking as someone who has spent most of my life in a lab, I can safely say we, as scientists, have not done a stellar job of informing people about what we do or how we do it. Unfortunately, this may prove to be a significant omission, as research funding for the National Institutes of Health and the National Science Foundation are now on the chopping block despite strong public support for research. Though we see the tremendous advancements made in medical care on a daily basis, we tend to forget that the seeds of these discoveries may have been planted a decade earlier in basic biomedical research labs like those in Missoula, Hamilton, Great Falls, Butte, Billings or Bozeman. Indeed, a 2011 study in The New England Journal of Medicine found that drugs discovered in public-sector research institutions are "expected to have a disproportionately large therapeutic effect." This means university research labs have become a primary pipeline in development of high-demand medicines and treatments, like those in the University of Montana's Skaggs School of Pharmacy aimed at new drugs for stroke and traumatic brain injury. The federal investment in research also has a proven track record of return. Few cancer survivors or their families would argue that developing life-saving therapies is not worth the expense, given that the NIH budget for cancer research works out to about $2 per American per month. While many Montanans benefit from and appreciate the research discoveries, they may not be aware that these discoveries are made right in their own state. As the number and competitiveness of scientists in our universities, hospitals and research institutes have grown dramatically in the past several years, so too has our success in attracting NIH grants. Considering that about 60 to 70 percent of this funding typically supports salaries, it translates directly into jobs: skilled technical jobs, sustainable jobs and well-paying jobs. Indeed, a study by the Families USA Foundation revealed that in 2008, the $38 million awarded to Montana by NIH led to the creation of about 700 jobs. Further analysis by Research!America revealed these health research jobs in Montana had an average annual salary around $55,000. Excitingly, this successful trend is continuing, as 2010 saw further increases in both NIH and NSF awards made to Montana. These dollars support not only faculty and technical staff, but also undergraduate and graduate students. In this manner, jobs created in research labs provide a way for students to pay for their education while gaining valuable hands-on experience, as well as open up the types of employment opportunities that can keep them in the state after graduation. Active research on campus not only brings students into the labs, it also brings current ideas, problem solving and the concept of discovery right into the classroom. This is exactly the type of training and "hands-on" experience that will keep Montana's work force globally competitive. Recent entrepreneurial developments around both UM and Montana State University also demonstrate that these research successes can extend off campus and lead to creation of private-sector spin-off companies with all the associated economic benefits, the foremost being more jobs. Lastly, this growth in biomedical science provides a welcome opportunity for Montana researchers to specifically address challenges relevant to our state and its residents. Who better to help solve problems related to rural health disparities, asbestosis, addiction, traumatic brain injury, mad cow disease, Lyme disease, brucellosis and chronic wasting disease than the faculty researchers and students on our own campuses and in our own communities? Our current times require that not just scientists speak up, but that all of us who see the long-term value of science voice a call to continue making our national investment in research a priority. Research is the key to Montana's future. Speaking of creativity, you might not realize it at first, but here you'll see one of the smartest people alive. Did you show up late to work today? (Are you leaving early, too?) You'll think twice after reading this story about work ethic. After a long week, we all need a pep talk. Dr. Isis has one for all the insecure researchers out there. Lastly, let's get meta for a moment and look at the current state of the science blogosphere. Scroll through the comments and you'll see one by this blogger. How Much is a Good Teacher Worth? Most of the time when we talk about education, we talk about a greater need for focus on STEM topics, keeping religion out of the science classroom, or issues in higher education. If we want to think about things in a new way, maybe we need to start considering different options. This Tuneage Tuesday (2 days late), listen to this NPR Planet Money podcast about a plan to revolutionize the U.S. economy that revolves around public-school teachers. The story begins at 3:30 into the podcast. What would you do to revolutionize education? 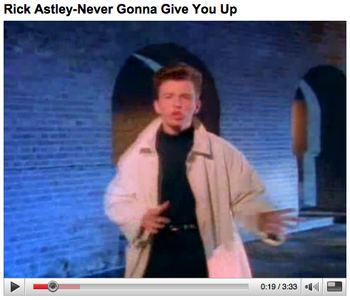 Twenty years after scoring his first hit, British singer Rick Astley became an Internet phenomenon. Chain letters, whose origins date to nearly a century before the Internet, viral marketing and even Rickrolling all have a curious, scientific parallel: the genetic code. According to a story in the May issue of Smithsonian magazine, memes (ideas that are spread to others) and the genetic code have several common characteristics: each meme is passed on to a new host; they can rearrange elements of their makeup; and they can evolve over time. The article, which clocks in at nearly 3,950 words according to LongReads.com, is a fascinating look at where memes came from, how they’re classified and what makes them carry on as they do. Perhaps the analogy with disease was inevitable. Before anyone understood anything of epidemiology, its language was applied to species of information. An emotion can be infectious, a tune catchy, a habit contagious. “From look to look, contagious through the crowd / The panic runs,” wrote the poet James Thomson in 1730. Lust, likewise, according to Milton: “Eve, whose eye darted contagious fire.” But only in the new millennium, in the time of global electronic transmission, has the identification become second nature. Ours is the age of virality: viral education, viral marketing, viral e-mail and video and networking. Researchers studying the Internet itself as a medium—crowdsourcing, collective attention, social networking and resource allocation—employ not only the language but also the mathematical principles of epidemiology. Indeed, in the communication age, information needs seconds to travel globally. Contrast that with one of Gleick’s examples, Sir Isaac Newton. Despite being one of the most famous men in England in his day, only a few thousand people had any idea what he looked like. Today, people around the world recognize the likeness of President Barack Obama or basketball player LeBron James. Gleick also cites “jumping the shark” as another example; in the days of digital communication, there are boundless others: Rickrolling, “all your base are belong to us,” Cigar Guy and a Coke geyser – all being continually updated, passed on and giving way to the latest sensation. Special thanks to today's guest blogger, Brian Hunsicker, a communications specialist at Research!America. Prior to his position at Research!America, Brian was a sportswriter and copy editor at The News & Messenger in Woodbridge, Virginia. On Friday, President Obama signed off on the budget deal brokered with Congress. The final tally was $38.5 billion in discretionary cuts, although even the CBO has questioned this number. How did health research fare? We’ve seen better days. The NIH and NSF were both cut by 1.2%, about $300M and $60M respectively. The Agency for Healthcare Research and quality was cut by $25M or 6%, while the FDA was actually provided with $107M increase. The CDC has been hit with the worst of the cuts to health research, totaling $820M – a cut of nearly 13%. So let’s think about this. At a time when our deficit is being driven by the cost of healthcare and American business is losing its competitiveness to pay for healthcare, our government has decided that prevention is not a priority. Cutting the CDC might save us $820M (0.0002% of total federal spending) in the short run, but how will those cuts impact our health, our deficit, and our economy in five years? Some have suggested that this budget deal could have been much worse. The budget that was previously passed by the House and defeated by the Senate, HR 1, contained much deeper discretionary cuts that would have been devastating to health research and science. Which plan do you support? Last week's budget deal made its way through Congress this week, and now awaits President Obama's signature. Read these Science stories for more on how the deal affects research funding overall, as well as the NIH and NSF in particular. Looking for a job in public service? This book tells you how you can get paid to change the world. You've heard of the dot.com bubble and the housing bubble, but is there a higher education bubble? If so, is it about to burst? Ed Yong explains how breast cells may be able to revert to stem cells. What would that mean for the future of stem cell research? Finally, if you like Earth Day activities, get a head start this year and submit a photo or video to the Consumer Electronics Association's contest to show what you'll be celebrating. Submissions are due April 17th, so be sure to get yours in soon! Happy reading and we'll see you next week! It isn't easy to have a conversation about AIDS with Anthony Fauci, the director of the National Institute of Allergy and Infectious Diseases, and make it funny. Stephen Colbert did it last night, however, and he made the conversation interesting and incisive, too. This is an excellent example of making science accessible to the public. Fauci provides statistics, explanations, and a bit of commentary on US health policy, while Colbert makes it fun and entertaining. Here's a bonus: NIH Director Francis Collins and Colbert back in October 2009. Some government employees may have been looking forward to a long weekend. But a government shutdown is no laughing matter. It’s clear that government employees throughout the nation were bracing for the absence of essential income in a difficult economic environment. But a deal was cut and appropriations will continue through the end of this fiscal year. So ends the long standing battle over FY 2011 budgeting, which culminated this past weekend with the 7th CR, and nearly furloughed 800,000 federal employees. It’s hard to say just who came out ahead in this deal. All sides are claiming victory even though it is becoming increasingly clear that this was really just one of the first upcoming budget battles and tougher fights are still come (e.g. debt ceiling and entitlements). Health research and science may emerge unscathed by this most recent budget debate, despite the fact that these areas were clearly targeted for cuts in H.R. 1 – the House spending bill that never passed the Senate. Some have suggested that H.R. 1 should be viewed as a policy document that lays out the priorities of House Republicans and will continue to guide their approach to governing. Hence, while research programs may appear safe for now, they could be targeted again during debates over the FY 2012 budget. This is why it is essential for all those who care about health research to continue to reach out to Congress and demonstrate the local impact and importance of these programs. Remember, that at the end of the day your representatives are ultimately accountable to you. Make sure they know that you didn’t send them to Washington to cut medical research. No one's sure whether the federal government is going to have a last minute save or shutdown tonight; but whether you're headed to work on Monday or not, we've got some good reads for you this weekend. Is the next Einstein a 12 year-old from Indiana? It doesn't look like he's tipping the balance for Indiana, but you may be interested to see where your state ranks in a new study about education standards; is your state smarter than a fifth grader? And speaking of young people, Neil Degrasse Tyson has some advice for young science communicators. Developing a scientific worldview is important whether you work at a lab bench of have moved on to, say, representing New Jersey's 12th district and taking on IBM's Watson in a Jeopardy! challenge. If you're interested in science communication/journalism theory, Alice has an interesting post on taking science journalism upstream. Tara Smith of Aetiology reviews Michael Willrich's Pox: An American History. Ed Yong of Not Exactly Rocket Science looks at a study on the origins of life started in 1958. Max recently shared with me this outstanding clip of Alan Alda talking about science communication at NSF. He's done a lot of work in this field, including serving as host of Scientific American Frontiers from 1993 to 2005 and knows just how to blend fact with humor. I definitely would love to sit in on one of these workshops. Ruth is a long-time New Voice and was kind enough to tell us about her work in a phone interview. New Voices (NV): What do you do in your work? 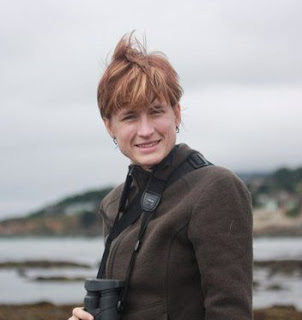 Ruth: I work through a contractor for GenBank (National Center for Biotechnology Information, NCBI), a large DNA sequence database that stores and organizes data from scientists around the world. When scientists sequence a genome, they have to deposit it in a public database, so NCBI curates the data and helps in the submission process. NV: Why is your work important, in particular to the public? Ruth: It’s a completely “public” job; NCBI is funded by the NIH, so it’s taxpayer dollars. When the government pays to have research performed, GenBank allows the data that comes out of it to be publically available. GenBank is analogous to the Library of Congress or the Smithsonian, except DNA sequence information is entirely digital. NV: What might the public misunderstand or misinterpret about your work? Ruth: If anything, they don’t even know this service exists. They might imagine a computer taking in all these data, but there’s actually a team of highly trained people who go through the data with a fine-tooth comb and verify it. NV: Are there any policy issues affecting your work? Ruth: We’re watching the budget pretty closely because the NIH is always brought up in the discussion. It’s really important that [the government] continue to fund both research and the efforts to make it public. You can’t publically fund research and then not publish what comes out of it. NV: How did you become interested in policy and in working with Research!America as a New Voice? Ruth: I’ve always been a politics wonk and I follow Congress, so I naturally became interested in the policy that affects science. I like to keep my toes in the water. NV: What would your advice be for the scientists not interested or involved in policy? Ruth: It’s really important to be interested and involved, but it does take a lot of work. Many scientists aren’t rewarded by their academic departments for their work in policy, and they have to do it on their own time. We need to change the system; it’s a tough problem. The Food and Drug Administration (FDA) goes through an enormous amount of work to ensure that our pharmaceuticals are safe and effective. It also, however, has to ensure that they’re real. 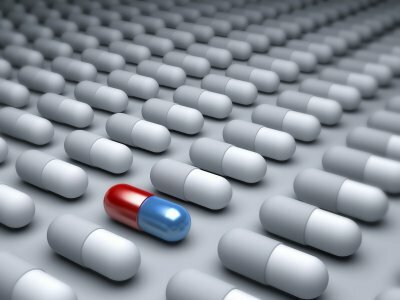 A recent 60 Minutes report examined the growing problem of counterfeit and poor-quality medicines. The story is yet another reminder that the FDA needs better financial support for its research and monitoring efforts, and that Congressional budget cuts to the agency could have a direct effect on you and your medicine cabinet. For more on FDA’s regulatory work abroad, check out this Nature Medicine story, written by myself. Last week, the Tea Party came back to Washington. They rallied to express their outrage over government spending and Congress’s inability to reach agreement on the budget. 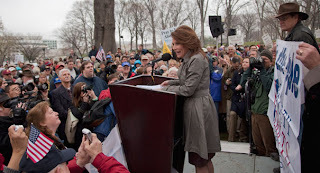 Rep. Michelle Bachman (MN-6), now weighing a presidential run in 2012, addressed the crowd of about 200 people. With a government shutdown seeming more likely, some policymakers have re-termed it as a government ‘slowdown’. And when this was mentioned at the rally, many in the crowd cheered the idea of the government shutting its doors. But the Tea Party represents just one ideological faction that has come to be affiliated with Republican Party and they have brought their own unique approach to the budget debate. Some have openly advocated for a government shutdown, believing that to be an effective means to reducing government spending. House Republican leadership is currently in the process of finalizing a budget for the coming fiscal year. However, several Republicans have indicated that this forthcoming budget is not sufficient to address government spending. In fact, the Republican Study Committee, a group of 175 House Republicans, announced its plan to release a so called ‘rogue budget.’ As you might have guessed, this document would cut spending at a much higher rate than the plan released by the House leadership. In essence, there are three Republican factions within the House that have differing visions for the future of the federal government. When the House Budget Committee releases its plan for FY 2012 tomorrow, the debate will be renewed. Where do you stand?